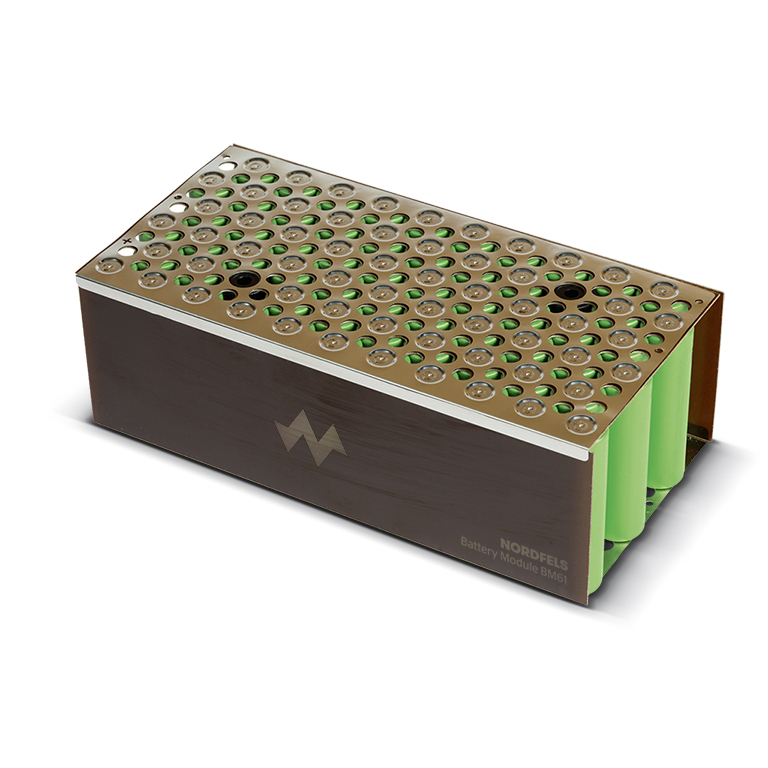 Featuring the highest quality and technical expertise, these battery packs are developed by manufactured by Nordfels to ensure maximum reliability and endurance. Nordfels battery packs and battery management systems (BMS) are designed and implemented to meet the precise electrical and mechanical power specifications of our motorcycles. Nordfels battery packs have been subjected to stringent tests (vibration, impact, electrical load, nail penetration, etc.). 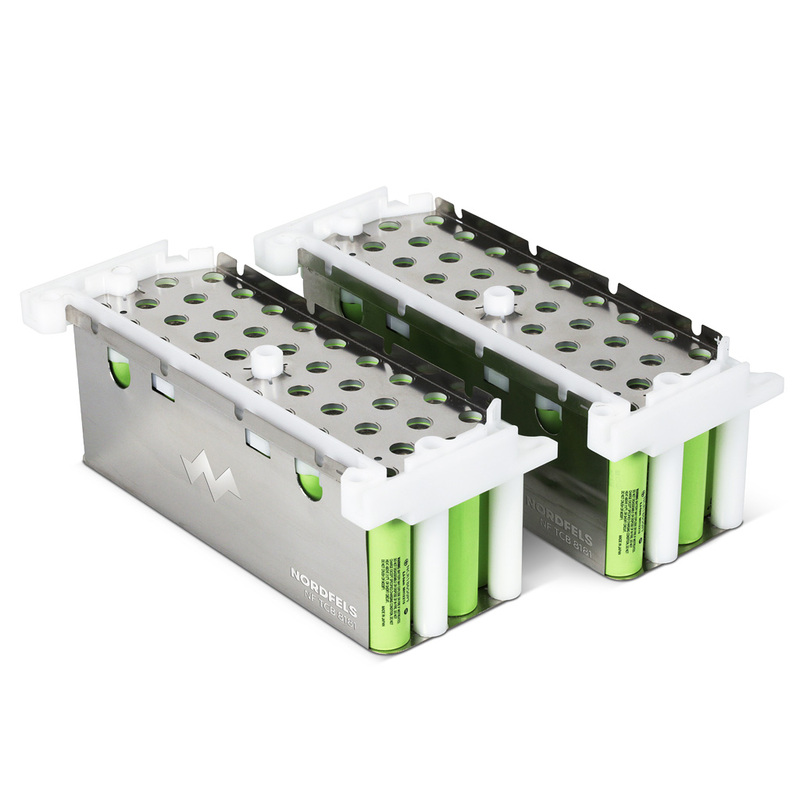 Nordfels battery packs are characterised by exceptional efficiency and maximum durability. The high-precision, laser-soldered Nordfels composite cell makes it possible to flexibly and quickly assemble different battery dimensions. 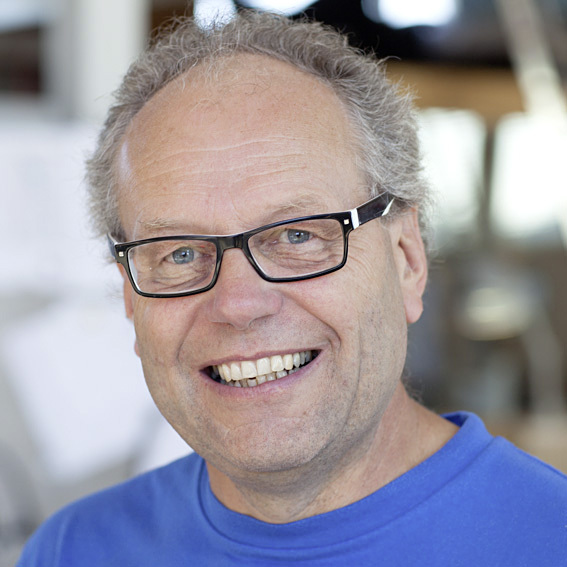 Nordfels has successfully proven itself for many years in various projects, and a world of efficient e-mobility is no longer imaginable without it. 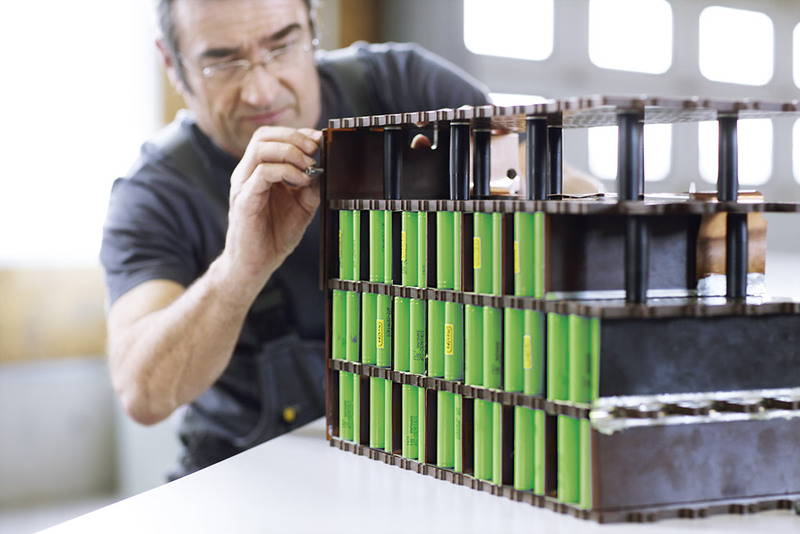 A Nordfels battery pack is characterised by an impressive level of safety and extended life cycle. The Johammer Motorcycle Project guarantees a service life of 200,000 km or four years with a residual capacity of at least 85% when used in accordance with our instructions. Johammer also offers a range of exchange options as soon as new, even higher performance technology is available. Nordfels battery packs are designed to be reused as stationary storage modules for electricity generated by photovoltaic systems. 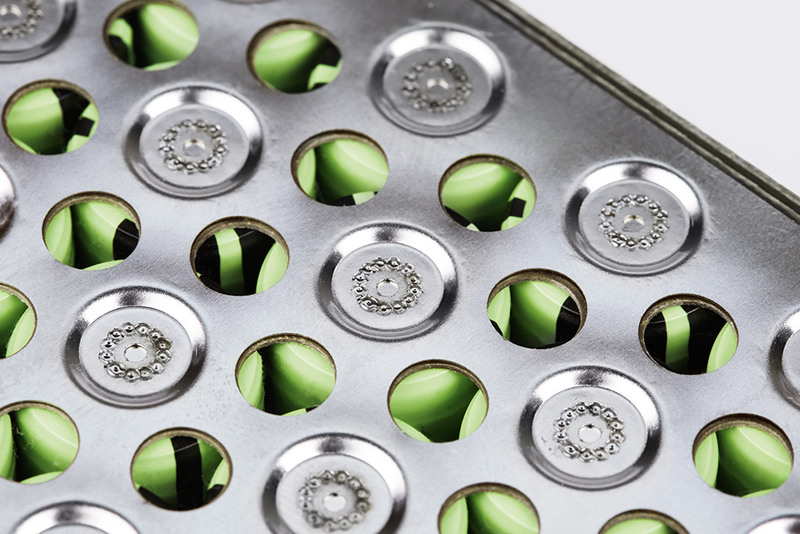 Following an extended secondary life cycle of up to 20 years, the battery packs are then carefully recycled. The supplies of all raw materials on this planet are limited. When we use valuable raw materials, it is our duty to ensure that the products we make from them are designed to last as long as possible. Recycling is inevitable and all very well, but something is always lost in the process, in addition to consuming even more energy.